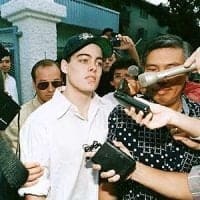 During the spring of 1994, Americans were gripped by an incident in Singapore which unexpectedly became a cause celebre: the caning of Michael Fay, who was sentenced for his role in vandalizing property in Singapore. The sentence caused outrage in the United States and even President Bill Clinton became involved in the court proceedings. The seemingly minor incident became such an issue that it threatened to derail the normally friendly bilateral relationship. The Singaporean government eventually lowered the penalty to four lashes from six; the caning was administered on May 5, 1994. William Butcher served as Director of the Office of the Philippines, Indonesia, Malaysia, Brunei, and Singapore (PIMBS) from 1993-1995, and had to deal with the fall out of Michael Fay’s case. Aloysius O’Neill served as Deputy Director of the PIMBS Office from 1993-1994, during which time he worked to deal with the publicity surrounding the upcoming caning of young Mr. Fay. Butcher was interviewed by David Reuther beginning in December 2010. O’Neill was interviewed by Charles Stuart Kennedy, beginning in August 2008. You can also read about the rise of Singapore’s Lee Kuan Yew. Go here to read other Consular Moments. You know you are in trouble when your country is being mentioned over a boom box in downtown New York. It became quite an issue. The Singaporeans, with whom we had a very good relationship over many years, valued both our economic and our military support and presence and I think they were increasingly concerned with their own restive youth. They had a vandalism case. Someone spray painted a judge’s personal car. They round up the usual suspects. They got a number of kids at the international school and frankly, there was no real evidence from the information we had that these were the kids who were involved, who were the perpetrators in this specific instance. They were people who had rap sheets in a sense from other activities at school or elsewhere. There were real concerns about this. Caning is not just giving kids a spanking. When you talk about caning, this is something the British had as an option in the old days. You can have the cat-of-nine-tails or the rattan, the caning. It involves a strip of rattan dipped in water that flays the flesh. Strokes crisscross, and at a certain point chunks of flesh can fly. It is pretty nasty stuff. It is very strong corporal punishment. The Singaporeans seemed absolutely askance that we even cared about this issue. We cared because: a) it was an American citizen; and b) this was a minor in our standards – the damage – spray painting of a private vehicle — was not permanent. He was a school student and we were not sure that he had had a fair hearing. There was some evidence to the contrary. O’NEILL: What distinguished this particular case was that what we normally refer to as vandalism such as spray painting a car or spraying graffiti on a building, is known as “mischief” in Singapore law. You can be fined for it, you can be imprisoned for it, but you can’t be caned for mischief whereas the crime of “vandalism” in Singapore law had a political connotation. Just spray painting your name on somebody’s car was mischief in Singapore law. If you spray painted “Down with Lee Kuan Yew,” on the other side of the same car that was vandalism because there was a political message. You could be caned if you were convicted of vandalism, and this was being beaten on the bare buttocks with a stout rattan cane. When those students were arrested, I don’t really think there was any doubt that Michael Fay and his fellow students were spray painting cars out of sheer boredom or whatever was motivating them. There was no political message in any of this spray painting, but they were arrested by the cops and probably vigorously interrogated. One of the Malaysian boys had a burst eardrum out of the interrogations….Michael Fay was sentenced to six strokes of the cane. This caused a big uproar and actually got a lot of attention in the American press. This got to be a real tangle because among other things our fellow Americans in some numbers were calling and writing to the Singapore embassy in Washington threatening all sorts of violence. My Singapore/Brunei desk officer was a crackerjack FSO [Foreign Service Officer] named Nan Nida, now Nan Fife. Nan got a stream of diplomatic notes from the Singapore embassy with attachments which were the transcripts of all the obscene and threatening phone calls. They were requesting additional diplomatic security around the embassy which we arranged very quickly. One note after another would come in with these filthy, obscene phone call transcripts attached to them with all sorts of bloodcurdling threats against the embassy. Meanwhile, we were getting phone calls, too. One person who was calling during this time was a professor at some college somewhere in the U.S., and I wound up handling his calls. I tried to keep Nan from having to deal with too many of the wacky callers because she had too many other things to do. But this guy kept demanding over and over again that the U.S. government send a Special Forces team to rescue Michael Fay from the Singapore prison where he was awaiting caning. I was gritting my teeth and saying we’re not going to do that and trying to get him off the phone as quickly as I could. All the while I thought that I’ll just bet that during the Vietnam War, this guy was probably a vociferous critic of the U.S. military and Special Forces as baby killing rapists but by God, he now wanted the Green Berets to rescue Michael Fay…. Well, there were several different currents in the United States because there was this backlash (no pun intended). 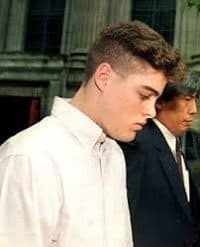 Whether it was racist or not, I don’t know, but the idea of corporal punishment, of caning an American student didn’t sit well with certain Americans. On the other hand there were others including, at least one member of the Maryland House of Delegates, who wanted to allow for caning in the Maryland school system. And we got more than a few calls saying “right on, Singapore. 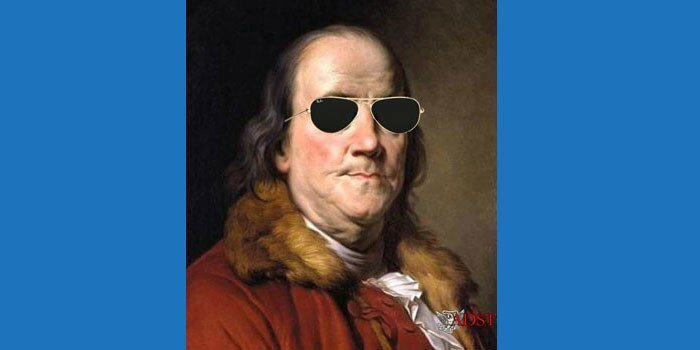 That’s a good way to stop vandalism.” So there were various currents in the U.S. It wasn’t all one-sided by any means. The opponents were the ones harassing the Singapore embassy. The weirdest twist was that after Fay had been convicted of the political charge of vandalism and was sentenced to six strokes of the cane; there was a news conference at the White House. It was a Friday, and President Clinton was with a visiting prime minister or president. One of the newsmen asked what about the Michael Fay case and this kid being caned. Clinton said he didn’t know anything about it or didn’t know the details, but he would get back to the reporter which, of course, sent the NSC staff into a swoon as well as us, because the last thing we needed was presidential involvement in a case like this. Well, on the following Monday or Tuesday Clinton had another news conference. Nobody asked a question about Fay, but Clinton then said somebody had asked about the Michael Fay case on Friday and he had looked into it. He said it was really bad. We and the NSC [National Security Council] went into a swoon again because then what do you do? You’ve got Bill Clinton vs. [former Prime Minister, then Senior Minister] Lee Kuan Yew and Lee had the home court advantage, so to speak. 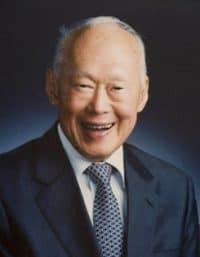 I’m not sure that we ever knew for sure exactly what the Singapore government’s thought processes were in prosecuting the boys for vandalism, but our embassy’s best analysis was that Lee Kuan Yew was sending a very Chinese message to Singapore’s own students. There’s a Chinese expression, “Kill the chicken to scare the monkey,” and this may have been what he had in mind — that there was sort of unrest of some kind, or at least unrest by Lee Kuan Yew’s very narrow definition of it, anyway, among Singapore students. What better way of showing Singapore students that they better stay in line than to whack some Malaysian and American kids for having spray painted some cars and gotten out of line. Anyway, now the President of the United States had interjected himself into a situation which was from my narrow low-level perspective very non-presidential. But there we were, and in the end what the Singapore government did reduce the sentence from six strokes to four, as a result of presidential intervention but the kid still got caned. There was no way that I can imagine somebody like Lee Kuan Yew backing down and saying, “Well, thank you. We’ll just sentence him to a rap on the knuckles.” He just wouldn’t do that, but he did reduce the sentence which may have given somebody some satisfaction. This case, as such things always do, brought some real wackos out of the woodwork….We were of course in touch with Michael Fay’s father, a long time business representative in Singapore which is how his son got to be there. My recollection is that he and Michael Fay’s mother were divorced. Mr. Fay kept calling us, not surprisingly, wanting us to stop the caning. Then one time he told us somebody had sent him a letter or an e-mail detailing in a very sadistic fashion what caning was like. The sender was an American as far as I know who took it upon himself to tell Mr. Fay about just how horrendous and painful and it was going to be for his son. So he was calling us about this, too. It was just a really messy, miserable case. Michael Fay did, indeed, get his four strokes, and that was more or less the end of it. But the case was one of the more unusual things that I dealt with in my Washington days.